Nikon D3s the Noise Muncher!! Ok this is just a rough test and to be truly accurate everything needs to be the same. Still the results almost speak for themselves. The Nikon blows the 5D2 out of the water for iso handling. We all know this but I didn’t think the gap was that great. Both images are cropped from hand held shots taken inside at night under dull mood lighting. If you were a wedding photographer and you only had the 5d2 you would be bawling at that moment. On the other hand if you were a D3s owner you would be banking the cheques. It is unbelievable. Check how much sharper the Nikon lens is too. Ok my 16-35 has never been that good but the nikon 24-70, and the 70-200 that I have tried are just brilliant. I will have the 1D mark IV soon to try out, early reports from my brother who is using it in Sydney have been underwhelming. He thinks it doesn’t look as sharp as the 5d2 footage add to that the crop sensor and he isn’t loving it. Still time will tell when he gets home in a couple of days and puts it on the mac. My feeling is Nikon has the edge on Canon at the moment. I think their lenses are better and if a D700x or s comes out with the iso performance of the D3s and the file size of the D3x I will be first in line to get one. Hell I still might just get the D3s and be done with it. I think the times they are a changing! it really is Graham, the difference is incredible. That comparison will be coming Will. I think though the Nikon will still come out on top as the lenses I have tried so far are better than their equivalent. In fact I was told ages ago the Nikon glass was better but I just didn’t want to believe it. Now I am more open minded it has become apparent to me. Interesting – would be good to see how they compared after reducing noise in PP. Sounds like you are intending to become a creature of the night – you haven’t been bitten under the new moon have you? I just can’t help but get excited with all the new nikon gear at the moment, I would love to put my D700 up against the D3s and just see how much better it is. the D700 still blows me away with what it is capable of. Looking forward to the MK4 results though. You still a Nikon fan in denial CF…..you know you want to change!! I was surprised at how much difference there is in the D3s and 5DMkII. And the Nikon lenses are good, I just haven’t use canon to compare. amazing results! 5D2 noise is shocking on the Nikon! From what I have seen on the D3s its fantastic – however use a better lens on the Canon please! I have gone through two 16-35mm’s and the construction from the 16-35 Mk1 to the MK II is hardly different or any better. 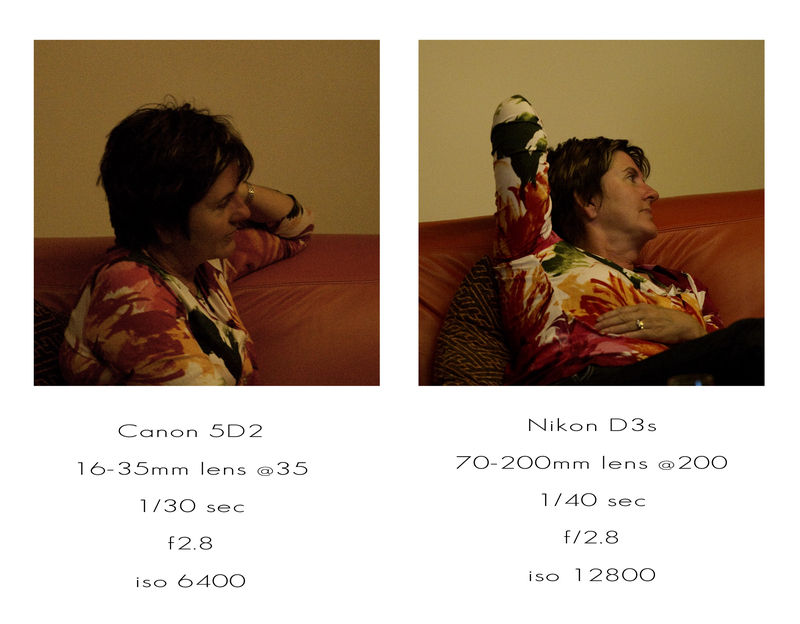 The major problem with the lens (compared to the Nikon) is that it is soft in low light. Get your hands on a Canon parts catalog (Ref No C21-0141) and have a look at insides of the canon lens. The barrel assembly is attached to the focusing assembly and rear mount of the lens by 4 flimsy plastic lugs. These weaken and break very easily when you pick your camera up primarily from the lens. I had a metal lugs installed and threw the plastic one away. I noticed that the production focusing was slightly out. I changed the forward focusing and programed it in on the canon 1D MK III. The focusing is now slightly faster and I think it performs way better in low light. I’m really looking forward to seeing your results between the Canon 1D MK IV and the Nikon D3s. ISO apart, I find Canon problematic in acute climatic conditions in a country like India. I know a large number of Canon users who keep on getting errors and making a trip to the service centre. Nikon is built much better. No visits to the Doctor there ! Great tests Christian. My new years resolution (gee thats bad..) is to have one by July. Interesting tests. I’m also interested in your thoughts of the camera ergonomics once you get used to the Nikon totally. It must be weird starting to shoot on a different platform… learning the new menus, lenses operating the other way…. buttons all in different places. Time to compare 1DIV with D3s. Released around the same time. Muzz, I have been bitten by something!! Pete I am coming around to your way of thinking!! I started with Nikon, maybe I’ll finish with it. Jamie, the results you are getting show how good the Nikons are, I’m almost convinced! It sure is Dan, Did you get another 5D2? Leigh, yeah the test wasn’t a good one as it was just a quick, I have the two cameras here, both with different lenses, I have a beer in hand, at a gathering of friends . I thought it would be good to see what came of it. I will have my Canon 70-200 with me next time and set it up properly. The 16-35 is a bit average but still it has made me some coin from the print sales. The average consumer doesn’t know or care! Hi Anoop, welcome to the blog, thanks for your comments, yes the build of the Nikon is better. Brent it has been easier than I thought getting used to the camera. In fact now I have to try and remember how to use the 5d2. I will post my thoughts on the layout of the buttons etc soon. Haydn your right about the time difference but the old D3 was out before that and it still kills the 5d2. Yep the 1d Mark IV vers D3s is coming very soon. Interesting test. And I believe the difference between the cameras! But, but, is there not a difference in exposure between the 2 shots? (The wall tones are quite different at least on my little laptop). So if the Canon underexposed, will there not be more noise evident, explaining at least some of the difference? Hey CF – thanks for posting this comparison, for what it was – a quick look at ISO handling on a couple of top end (but not identical or identically set up) cameras. Agree that a 1D MklV might be fairer for a careful comparison but given the vastly better image you got on the 3Ds, it is extremely impressive.